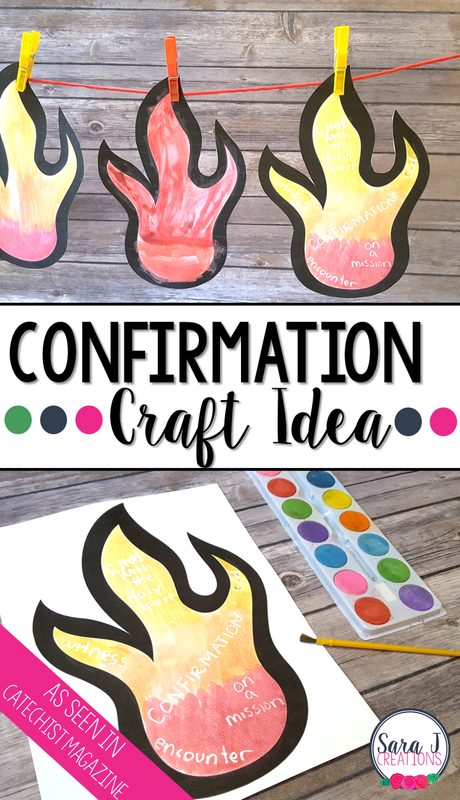 Are you looking for a craft to teach students about Confirmation? I recently wrote a craft for Catechist magazine that could be perfect for you. Whether your students are preparing for confirmation or just learning about the Seven Sacraments, this crayon resist project can be used with a variety of age levels. Head over to Catechist Magazine to check out all the details on how to do this craft along with a printable of the Fire of the Holy Spirit to help get you started.